Weather we watch it as part of an Astronomic phenomena or we tune into her mystical powers, here are two reason why March 19 is a special day. “The last full Moon so big and close to Earth occurred in March of 1983,” says Geoff Chester of the US Naval Observatory in Washington DC. “I’d say it’s worth a look.” Full Moons vary in size because of the oval shape of the Moon’s orbit. It is an ellipse with one side (perigee) about 50,000 km closer to Earth than the other (apogee): diagram. Nearby perigee moons are about 14% bigger and 30% brighter than lesser moons that occur on the apogee side of the Moon’s orbit. Above: Perigee moons are as much as 14% wider and 30% brighter than lesser full Moons. “The full Moon of March 19th occurs less than one hour away from perigee–a near-perfect coincidence1 that happens only 18 years or so,” adds Chester. A perigee full Moon brings with it extra-high “perigean tides,” but this is nothing to worry about, according to NOAA. In most places, lunar gravity at perigee pulls tide waters only a few centimeters (an inch or so) higher than usual. Local geography can amplify the effect to about 15 centimeters (six inches)–not exactly a great flood.The Moon looks extra-big when it is beaming through foreground objects–a.k.a. “the Moon illusion.” Indeed, contrary to some reports circulating the Internet, perigee Moons do not trigger natural disasters. The “super moon” of March 1983, for instance, passed without incident. And an almost-super Moon in Dec. 2008 also proved harmless. Okay, the Moon is 14% bigger than usual, but can you really tell the difference? It’s tricky. There are no rulers floating in the sky to measure lunar diameters. Hanging high overhead with no reference points to provide a sense of scale, one full Moon can seem much like any other. The best time to look is when the Moon is near the horizon. That is when illusion mixes with reality to produce a truly stunning view. For reasons not fully understood by astronomers or psychologists, low-hanging Moons look unnaturally large when they beam through trees, buildings and other foreground objects. 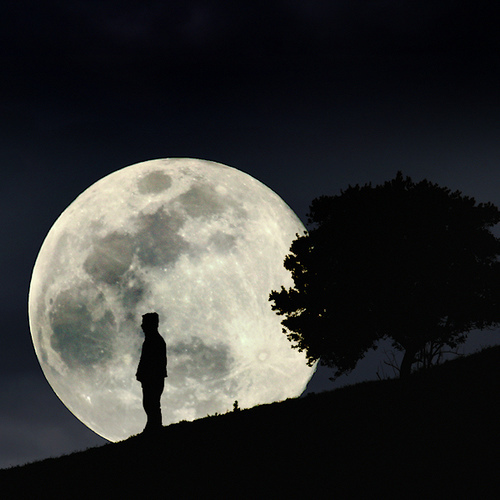 On March 19th, why not let the “Moon illusion” amplify a full Moon that’s extra-big to begin with? The swollen orb rising in the east at sunset may seem so nearby, you can almost reach out and touch it. Don’t bother. Even a super perigee Moon is still 356,577 km away. That is, it turns out, a distance of rare beauty. 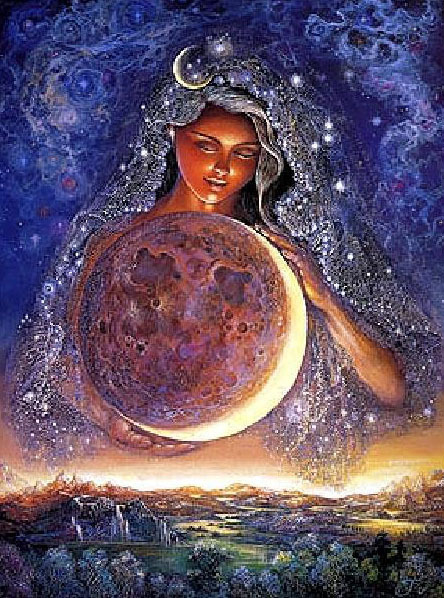 The Full Moon is in Virgo at 28 degrees on March 19th, 2011. This particular full moon is packed with high nervous tension energy possibly erratic zings and dings. Let’s delve into the astrological aspects happening during the full moon a bit further. Stress levels may be high during this time. The highly fluctuating energies may certainly add a layer of jarring ripples within emotional waters for people now. Be patient as possible no matter what arises. Tendencies or habits that are out of balance or that are on auto pilot are brought into the light of conscious awareness. With the sign of Virgo highlighted, either you can be highly picky, critical or judgmental or you can break free to heal yourself and restore balance inside. The “inner critic” needs a vacation or at least some new skills on how to be “compassionate (Pisces).” Put that on the to do list and do it! Of course the first urge, during a Full Moon in Virgo is to analyze it out, think about it, chew it to pieces until it is all mush. It may be best to “feel” things out first then the order and information will make sense. No harm in that and many benefits! This entry was posted in Mind Body Spirit, onlifemag, SELF and tagged 2011, Astrology, full moon on march 19, super moon, super moon on march 19, virgo moon by onlifemag. Bookmark the permalink. ¿Qué miras desde tu cama celeste? ¿Qué estarás pensando de la humanidad? ¿Y cuándo te llenas es que te alegras? ¿Será que olvidas por momentos nuestras miserias? ¡Anda, ilumina nuestras consciencias!! ¡Ten piedad!! !